Part 1: The Route Over the Ridge. By Alan Pollack, M.D. | Heritage Junction Dispatch, May-June 2015. Historian Harrison Scott called it "the road that united California." 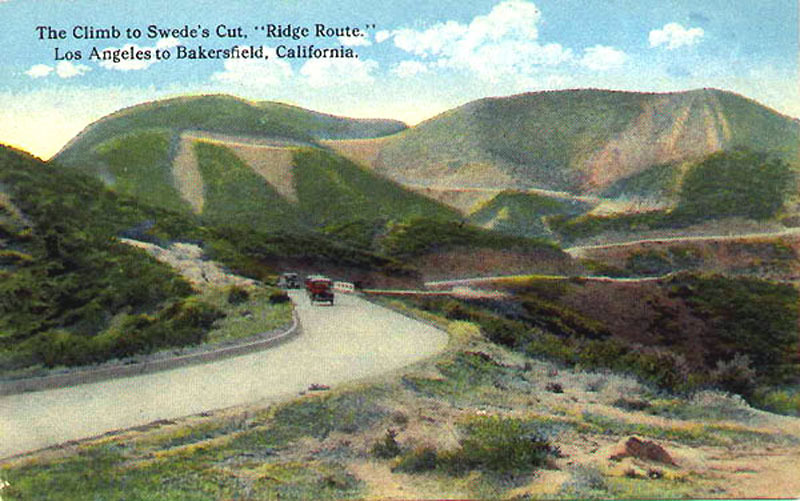 The famous Ridge Route was the first road to serve as a direct connection between the Santa Clarita and San Joaquin valleys. It was thought that California was in jeopardy of being divided into two states due to the difficulty in navigating the mountains north of Santa Clarita prior to the construction of the Ridge Route. But the initial proposal for the Ridge Route was not without controversy. On Nov. 3, 1912, the Los Angeles Times reported on "the proposed state highway direct to Bakersfield." The final hearing on the proposed road was to be held later that month by the state Highway Commission. The article stated: "When completed, which will probably be in about a year, the state highway from here to Bakersfield will be unique and admirable among mountain roads of the country." A competing proposal would take the road through Soledad Canyon, out to Lancaster and Mojave, and then through the Tehachapi Pass into the San Joaquin Valley and on to Bakersfield. This route would essentially follow the Southern Pacific Railroad line. But the Ridge Route was favored over the Tehachapi Route by the state Highway Commission and the Los Angeles Chamber of Commerce since it would save 50 to 60 miles of driving and avoid shifting sands and creek crossings. The Times article pointed out further: "Notwithstanding the wild nature of the country, the highway will be as level as a city street. The maximum grade will be only 6 percent, and in few places will it be necessary to establish a grade as high as that. 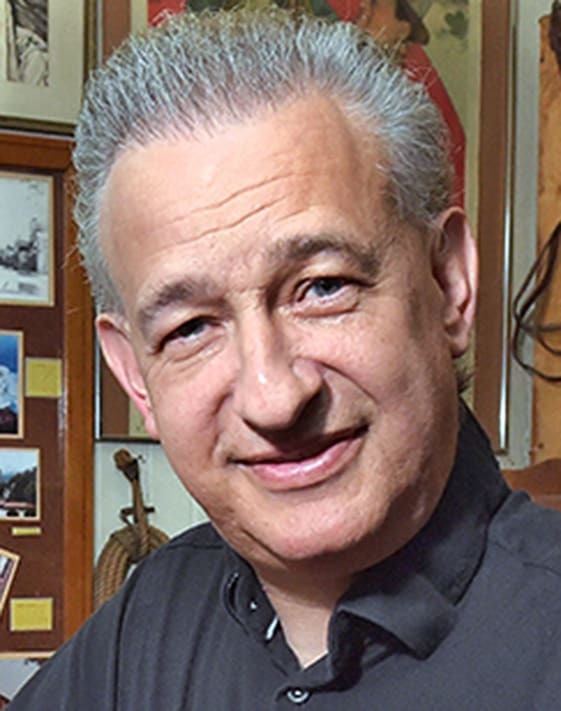 It will be possible for the automobile driver to go from here to Bakersfield on the high gear over a paved road with the friction reduced to a minimum — all the advantages of a mountain ride without any of its discomforts." As things were to turn out, this statement about the comforts of the road would prove to be overly optimistic. The proposed road would be 21 feet wide in the cuts, 24 feet wide at the fills, and would be paved to a width of 15 feet throughout. 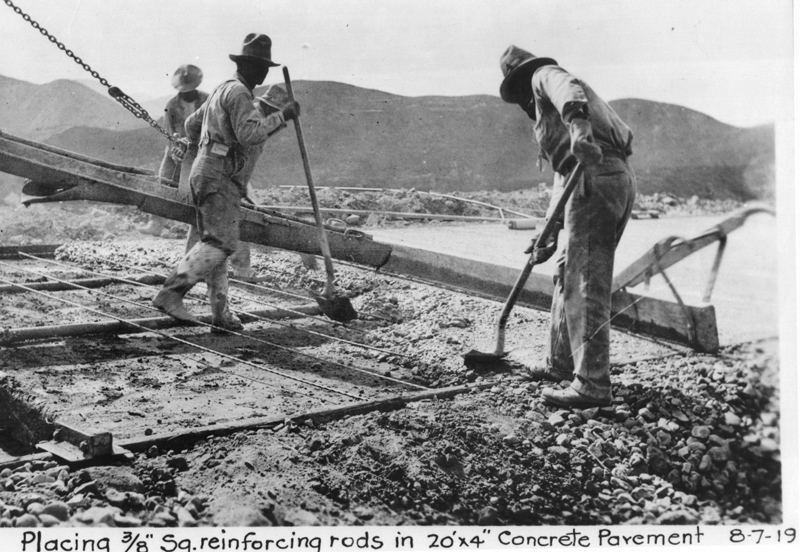 In reality, the road was not completed until 1915, and it wasn't paved until 1919. At the time of the proposal, there were many cities and localities requesting and demanding that the new road be routed through them, but meeting all of these demands would have added many miles to the route and greatly increased the cost. The commission thus chose to follow the edict of the Highway Act of 1909, "to build by the most direct and practicable route, depending upon its tributary roads from each side to complete the highway connection." The Tehachapi Route was said to impose a "tax" of $5 on every automobile, since it was estimated that the cost of driving would be about 10 cents per extra mile. Ultimately and as expected, the commission chose the Ridge Route over the Tehachapi Route. But there were those along the Tehachapi route who attempted to reverse the decision of the commission. The Automobile Club of Southern California in April 1913 denounced those who opposed the Ridge Route. In a series of nine signed resolutions, the Auto Club stated: "With thousands of other interested residents of Southern California, they resent the effort of a few owners of property along the Tehachapi to waste state money and disregard the interests of the many for the enrichment of the few." In favor of the Ridge Route, they further stated that the Tehachapi route would be 57 miles longer than the Ridge Route; that the extent of mountain grade on the Tehachapi would be double the 6 percent grade of the Ridge Route; and that unlike the Ridge Route, the Tehachapi route would be subjected to the excessive summer temperatures and high winds of the Mojave Desert. Also mentioned were bad drainage conditions and multiple stream crossings along the Tehachapi route, the increased maintenance cost of the Tehachapi due to its location in canyons as opposed to mountain ridges, and the increased cost of $500,000 more to build the Tehachapi as opposed to the Ridge Route. 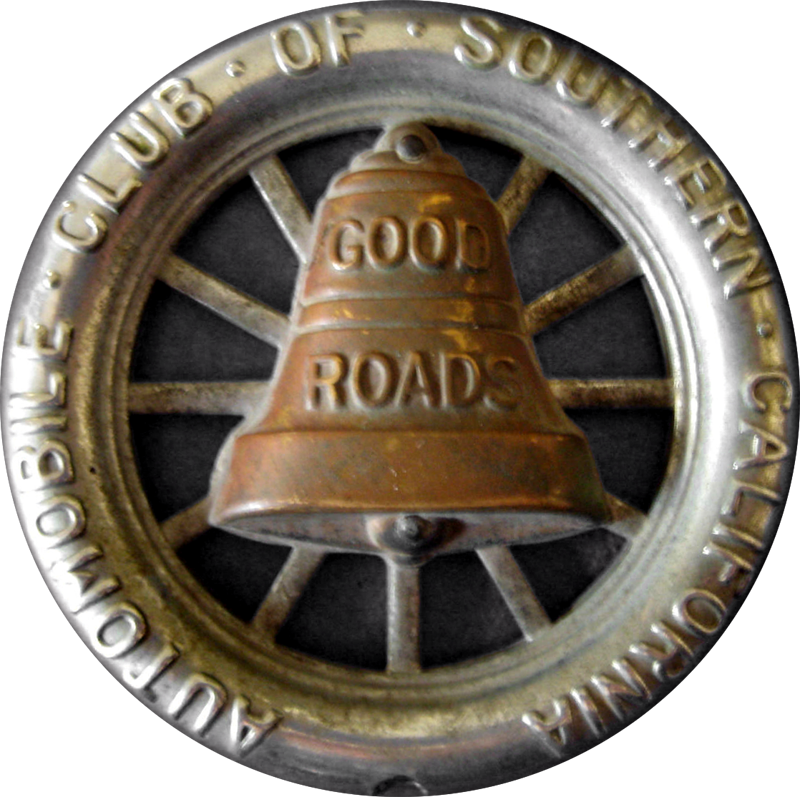 Later in April, the Motor Truck Club of California also followed the lead of the Auto Club and passed a series of resolutions favoring the Ridge Route over the Tehachapi route. By June 2013, the Los Angeles County Board of Supervisors had come up with a "compromise route" which would add an additional 30 miles to the proposed Ridge Route. The compromise road would go through Mint or Bouquet Canyon to the Antelope Valley and then proceed to the Tejon Pass and on to Bakersfield. The Auto Club vigorously opposed this plan, stating, "it will cost a quarter of a million dollars more to build the longer route and will impose the additional run of thirty miles upon every automobilist making the trip." In the end, the proponents of the Ridge Route won out over those favoring the Tehachapi route. The Times reported Aug. 22, 1915: "Great Ridge Route Is Soon To Be Passable." Hailed as "one of the greatest engineering achievements ever brought to a conclusion in Southern California," the last grading of the new route was to take place by the following week. The new route was to cut the travel time between Los Angeles and Bakersfield from well over six hours to just four hours. It was also destined to be a new tourist attraction, climbing for 30 miles "through some of the most wild and rugged mountain country to be found in Southern California." The road was due to be opened to travel within about 45 days of the last grading, as the Highway Commission planned to oil the road to preserve the surface. It was not to be paved for at least two years "owing to the great number of fills that must be allowed to thoroughly settle." N.D. Darlington of the State Highway Commission proudly told a Times reporter: "For the most part our work of highway building has been merely to improve existing roads. In the Ridge Route, however, we had an opportunity to so vastly improve one of the main trunk line roads between two important points that I regard it as the most striking single piece of work that we have been able to accomplish." On Sept. 9, 1915, Darlington led the first trek of automobiles over the Ridge Route, consisting of members of the Board of Supervisors and representatives of the Chamber of Commerce and Auto Club. Carl McStay of the Auto Club noted "a saving of twenty-four miles. That means a saving of from $1 to $3.50 in gasoline and maintenance for every automobilist that goes over this road from now until eternity." Describing the new road, the newspaper reported: "It is the Ridge route in fact, for the road leaps from ridge to ridge over connecting causeways. It is a highway hung up against the sky, with the dark canyon of Castaic Creek yawning at one turn, and a smiling ensemble of chaparral-clad and creased hills at another. ... It is a road that traverses a new country of great possibilities, runs close by historic Fort Tejon, and finally merges in the mountains with the concrete road system of Kern County." Commissioner Darlington and the Auto Club announced in the Nov. 14, 1915, edition of the Los Angeles Times that the Ridge Route would officially open to traffic Nov. 16. Auto Club signs were already in place along the route, and construction crews were working feverishly day and night to get the road oiled before the onset of the winter rains. It was estimated that 80,000 autos would traverse the route in its first year of service. The Times advised motorists: "To reach the beginning of the ridge route, motor cars will travel out through the San Fernando Valley over the San Fernando boulevard, passing through the fertile fields at the base of the foothills, and on to Saugus, where the turn is made into the Castaic country." On Nov. 16, 1915, the Los Angeles Times reported from Bakersfield: "The 'Ridge Route' on the state highway between this city and Los Angeles was formally opened for traffic today, reducing the distance between here and the southern metropolis to 126 miles. ... Travelers are requested to keep to the side at the present time as there is some oil on the highway, which is best left unmolested." It was noted that the Auto Club had placed direction and warning signs along the new highway in world-record time. What should have taken two weeks was accomplished in one evening. Each sign was made of metal, affixed to a metal post that was sunk three feet into the ground. The Auto Club had been given only 24 hours' notice by the Highway Commission to get the job done before the road was to open. The majority of the signs were to warn motorists to keep to the right side of the roadway and to sound horns at all curves. At the two summits and ends of the road, large signs read: "Caution! 29 Miles Mountain Road. Grades. Curves. Drive Slowly — Keep Right. Sound Your Horn!" Today, the old Ridge Route still hugs the ridges of the San Gabriel and Tehachapi Mountains as it did back in 1915. It has been closed to vehicular traffic for several years by the U.S. Forest Service due to extensive damage from heavy rains during the last El Nino weather event. In the valleys below runs the modern Interstate 5, which now serves as the main artery between northern and Southern California, much as the Ridge Route did in its heyday. And time marches on.